The Ann Magnolia is a wonderful spring-flowering tree guaranteed to turn heads and win hearts. Its rich purple-pink blooms are much bigger than anything you would expect from a cold-hardy tree, and they smother the bare branches before other flowers are awake. They turn your garden into a magical place for a precious few weeks, and form a sturdy, attractive rounded small tree for the rest of the year. 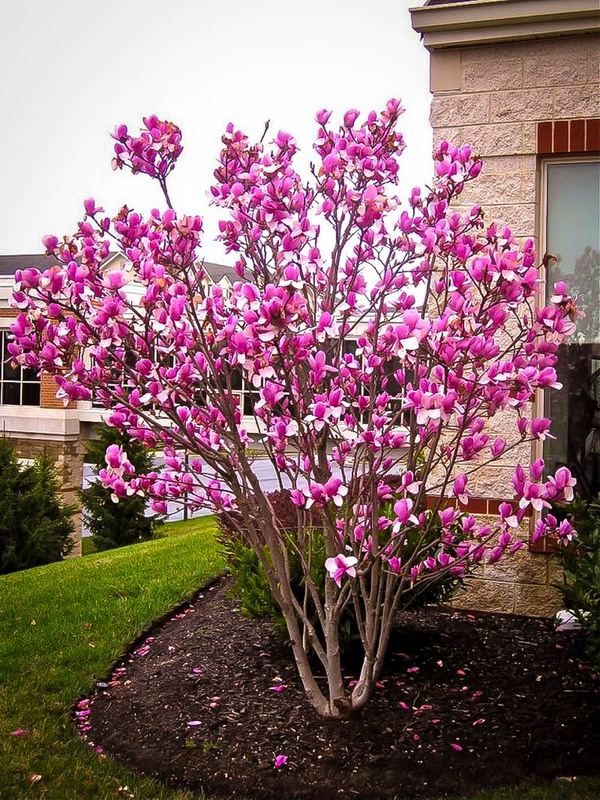 This variety is one of the ‘Girl Series’, a special group of trees developed right here in the USA to resist the late frosts that make so many other varieties of magnolia trees hard to grow in colder areas. This tree will grow only to around 10 feet tall, with a low crown almost the same width. It has attractive oval leaves about 6 inches long, which turn yellow in fall. Grow it as a lawn specimen, among other large shrubs, or beneath deciduous trees. A sunny or partially-shaded site is best for your Ann Magnolia. Grow it in soil that has been enriched with organic material, and add organic mulch over the root-zone each year. Water once or twice a week during the first season, and after that do not let it become completely dry. A mature tree will have moderate drought-resistance. This tree has no significant pests and diseases, and needs no pruning to become a treasure in your garden. This variety is ideal for northern gardeners, since it is hardy to zone 4, and blooms later, so avoiding late spring-frosts. 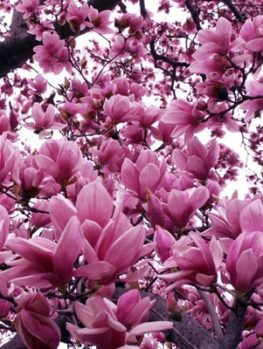 The spring blooming of Magnolias all across the northern and central parts of the country is a true highlight of that wonderful season. So magical are these trees, that no garden should be without them. Luckily there are many to choose from in different sizes, flower colors, and hardiness, so everyone can find the perfect tree for their garden. 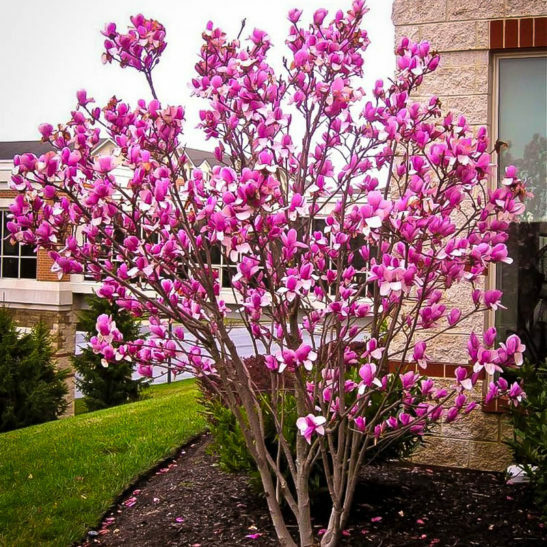 If you live in an area where late spring-frosts are common, with a garden where you need a smaller tree, and if you love rich purple-pink colors, then the Ann Magnolia has to be a top choice for you. Even if you live in warmer areas, where frost is not a problem, or are looking for secondary trees to liven up a larger garden, then this is still a top possibility that you cannot pass by. 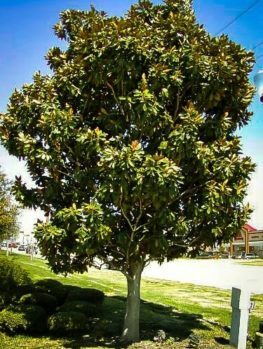 The Ann Magnolia grows into a small, multi-stem, rounded tree, typically reaching around 10 feet in height, and often the same size across. It blooms early in spring, when the trees are still bare, and it blooms on bare branches, so that leaves do not diminish the magnificence of its show. The large flowers, which can be 7 or 9 inches long, rise like goblets from the branches, colored in a marvelous rich purple-pink. As the flowers mature, they open more widely, and as the leaves emerge for the new year, the flowers leave us with rich memories, and hope for the next spring. 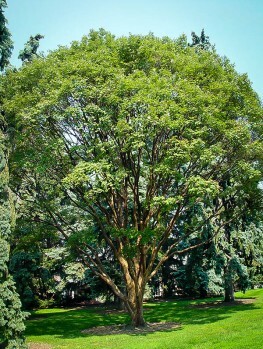 This tree grows best in sunny or partially shaded locations. The shade from deciduous trees is easily tolerated, and even enjoyed by this tree, that appreciates some shelter from the hot afternoon sun. This is especially true in more southerly locations. It also appreciates some shelter from strong, drying winds. As for soil, it will grow best in richer soils, with plenty of organic material in them, so add plenty when you plant, and mulch in spring with fresh material. Especially when young, the soil should be kept moist, but not saturated with water. Older trees will become more drought-resistant, but they always benefit from being kept moist. 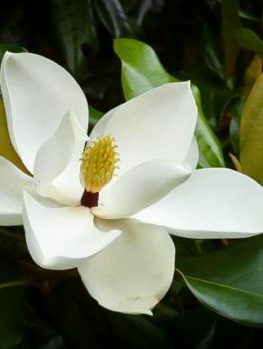 There are literally hundreds of different Magnolia trees, but there is one thing that makes the Ann Magnolia special, and very high on any list of favorites. This is the fact that it blooms 2 – 4 weeks later than many other kinds. Now we might at first think this is not a good thing, since we are always going to be impatient to see the blooms. But no – what it means is that while other varieties often fail to bloom properly, this one always will. The problem is that although the trees themselves are hardy, the blossoms are not, once they begin to develop. This happens early, as soon as slightly warmer weather arrives, and if a late-frost comes after that time, the blooms will be destroyed. By waiting those extra weeks, this Magnolia misses the frosts, and blooms reliably every year. In the 1950’s two plant breeders at the renowned National Arboretum in Washington, D.C. decided to try and breed some improved trees to fix this frost problem. 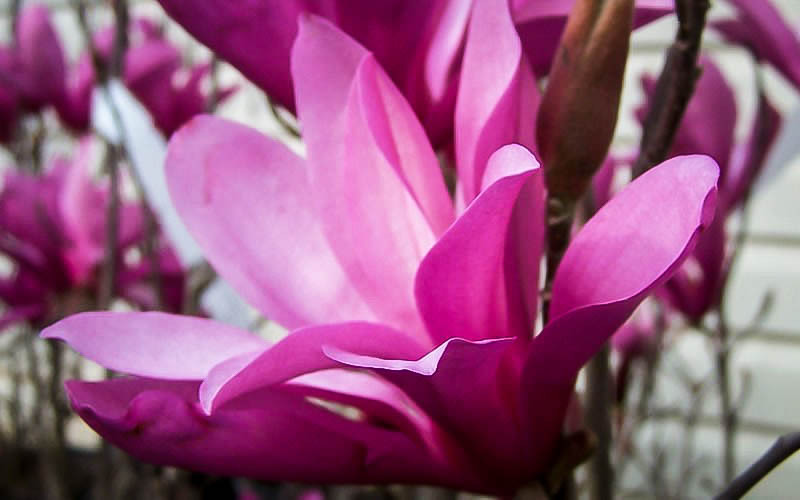 Francis DeVos and William Kosar took a dark-flowered form of the Lily Magnolia (Magnolia liliiflora ‘Nigra’) and crossed it with a pink form of the Star Magnolia (Magnolia stellata ‘Rosea’). 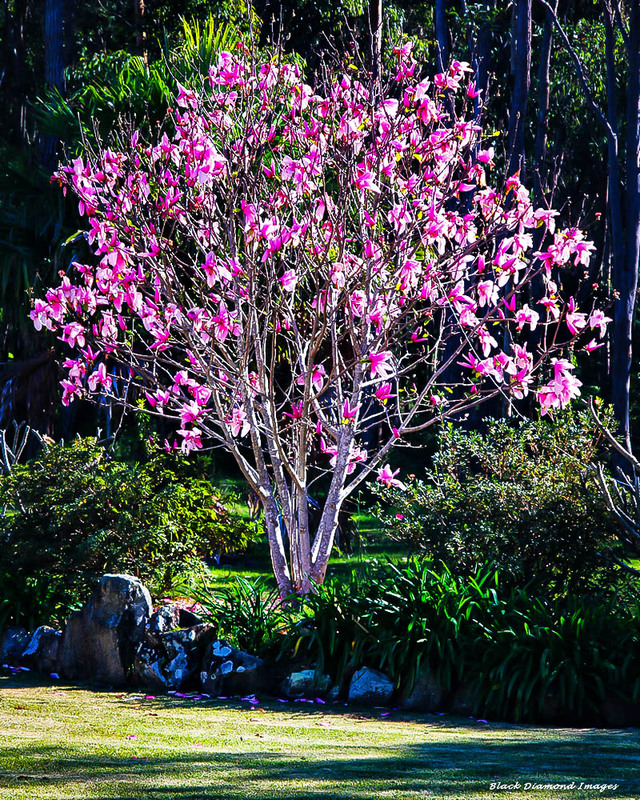 They grew the seedlings form the special seed they collected, and had a whole range of small, hardy trees which bloomed 2 to 4 weeks later than other popular Magnolias grown at that time. This meant those late frosts had usually passed before they began to develop, and the trees always bloomed successfully. They had trees in several different flower colors, and they gave them all girls names, creating the Little Girl Series. 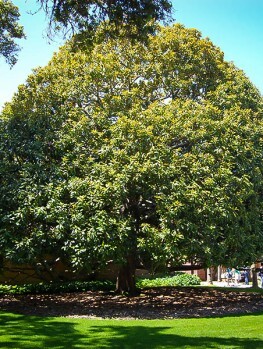 The Ann Magnolia is an outstanding tree of that special group. 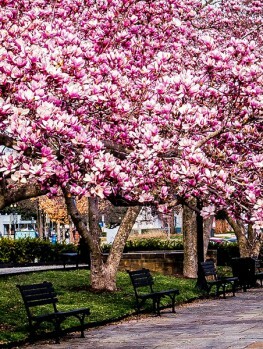 Other beautiful trees in it include the very popular Jane Magnolia, and the stunning Randy Magnolia. In cooler areas these bloom towards the end of April and into May, when the glory of spring is at its height. In warmer regions, they will often bloom in March or even in February. These kinds of special trees cannot be grown from seed – each seedling will be different, and usually unreliable and inferior to the parent. So cheaper seedling trees – or trees simple labelled as ‘Flowering Magnolia’ – will definitely not be the quality of the Anne Magnolia. Our trees are produced the correct way, by the long process of taking stem pieces from mature trees of the correct type, and attaching them to the roots of hardy, sturdy seedling trees. These are treated with skill and care, until they are ready for you to plant them in your garden. 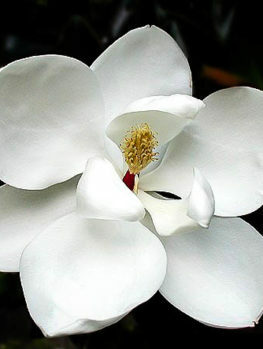 We know you will love the Ann Magnolia, which will soon become a garden favorite. However, many other people love it too, so we don’t expect our stock of this variety – which is not widely available or offered for sale very frequently – to last long. So that you can be sure of receiving the best tree for your needs, order now, while stocks last. You won’t regret it.